SoftAtHome’s senior management team is passionate about building a brighter future for Digital Home. 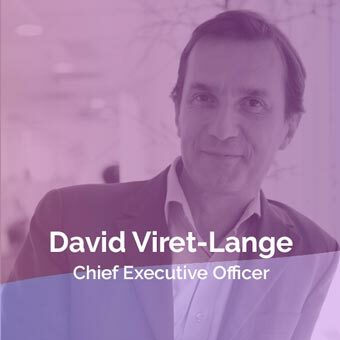 Led by David Viret-Lange, the team has world-class expertise in a wide range of domains including Access, Video, Home Network, Wi-Fi, Security, Analytics, Smart Home, embedded software, Cloud, and of course all the HR and business management skills required to run a company on several continents with over two hundred employees. David Viret-Lange has over 20 years in the Telecom industry. Firstly in Sales and Marketing of B2B services where he defined offerings related to xDSL technology, bringing operators into the 21st century with ‘full IP’ networks. He then managed the Sales and Service entity in the Consumer market, still accompanying operators in their innovation paths, to lead transition to triple play services. He came back to B2B as CT/CIO of Orange Business Services, and led the transformation of the Orange Business IT organization to prepare the « softwarization » of networks through SDN-NFV technologies. He graduated from the Ecole Polytechnique in 1991 and from the Ecole Nationale Supérieure des Télécommunications in 1993. As CFO, Marc is responsible for financial management of the company and for multiple functions including finance, accounting, legal and administrative aspects of operations. During his 17 years career, Marc has held various senior financial positions at France Telecom/Orange and in its subsidiaries. He acquired experience in both development and restructuring environments in various industries, including Telecom, Internet Services, Multimedia and High Tech. Marc started working for the head office of France Telecom as financial analyst, before joining the International Development Department of the Group as Finance Project Manager. Marc was responsible for establishing business plans and leading acquisition and joint venture projects in Northern Europe. In 1999, he was part of the internet start-up Voila, before taking in charge Controlling at Wanadoo ISP. 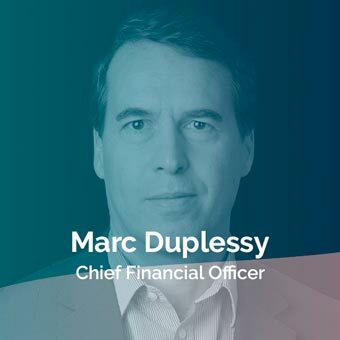 Operating as Chief Financial Officer since 2002, Marc was CFO of a developer of videogames where he led a major restructuring project which resulted in an equity operation. Most recently, he was CFO for EGT, a videoconferencing distributor, successfully completing a severe restructuring and a complete re-start. Marc holds a Master in Finance from University of Aix-Marseille. 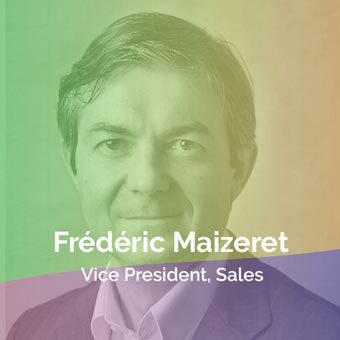 Frederic is responsible for managing sales, both direct and indirect, customer project and presales to Service Providers and Integrators worldwide. Frédéric has an extensive knowledge of the Television and Telecommunications business. He was recently in charge of developing the Telecom Business unit at Pace. From 2005 to 2008, Frédéric was EVP Sales & Marketing at Viaccess. Between 2000 and 2005, he developed and implemented the DVB-H vision and strategy of the Sweden’s largest radio and TV-operator. He began his career as an engineer and spent eight years at TDF Group, prior to joining Sagem as VP Sales for the digital set-top boxes. Frederic is a graduate from Ecole Polytechnique. 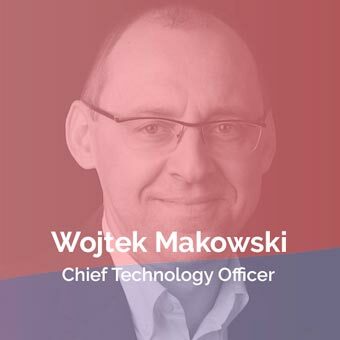 Wojtek is in charge of defining the company’s overall technological strategy and of driving its innovation and strategic product vision to further position SoftAtHome as an industry leader. He is also Deputy Chairman of the Technical Working Group for the Home Gateway Initiative, mainly focused on the Media Gateway and Smart Home projects. Wojtek has 20+ years experience in the IT industry where he has held various product development and leadership positions. He specializes in the telecom area focusing on Operational Support Systems, Location Based Services infrastructure, convergent pervasive applications and the Digital Home. He has a strong multi-cultural business background – having served for several companies in different European countries, including France, Poland and the United Kingdom. Wojtek started his career in 1990 in France as an IT Engineer developing a billing mediation solution for France Telecom. He then became the leading director of this multi-year project. Since the mid-1990s he founded or joined several start-up companies where he held positions of CTO, VP Engineering and CEO. Wojtek holds an MSCS from Polytechnic School & IT Institute, Poland where he graduated top of this class. Guy is in charge of Cloud Solution Development. Before joining SoftAtHome, Guy was in charge of the Set Top Box R&D unit of Sagem Communications where he had the opportunity to develop a new range of MPEG4 product for IPTV, Satellite, Cable and Terrestrial STB. He began his career at Thomson-EFCIS in Grenoble designing chipsets and then joined Sagem in the Defense and Security Division where he worked as a software engineer for military products such as data encryption devices. Guy was later responsible for military telecommunication system development for Syracuse and the MTBA project. 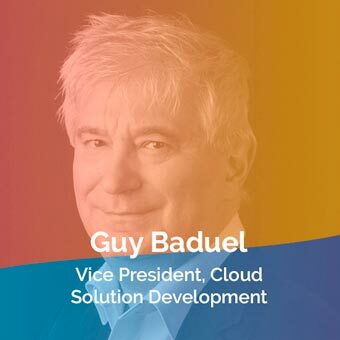 Guy joined SAGEM Mobiles in 2001 to take the lead of Software Development R&D, contributing to the development and launch of myX-5 and iMode range of products.Guy graduated from ENSIMAG with a MSCS. 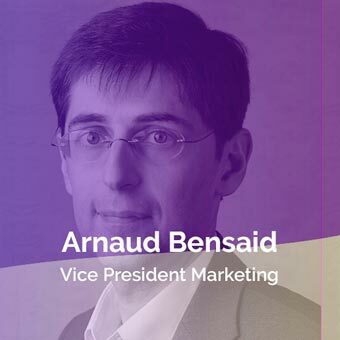 Arnaud is responsible for Product Management, Product Marketing, Marketing Communication and Strategic Partnerships. Arnaud has over 10 years of experience in the Telecom & Media industry. Prior to joining SoftAtHome, Arnaud served as Strategy & Management Consultant for Capgemini Telecom & Media – Consulting Practice. He led and contributed to major international projects from strategy definition to launches including set-up of a new Pay TV operator and introduction of a Mobile Broadband offering for a major European Service Provider. In the last 3 years before joining SoftAtHome, he specialized in Digital Home and contributed to the creation of SoftAtHome. Arnaud is a graduate from Ecole Nationale Superieure des Telecommunications (Telecom ParisTech). As CHRO, Marie-Claude is in charge of HR and Internal Communications at SoftAtHome. Her main goal and ambition is to promote business and innovation in the company by attracting, developing and retaining the best talents. 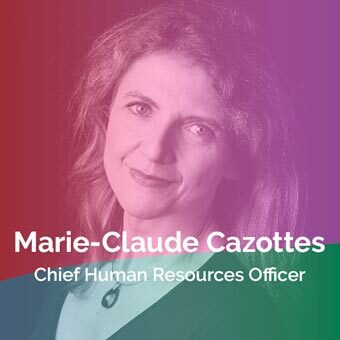 Marie-Claude has more than 20 years of wide- ranging expérience in the HR field. Her first job was in journalism writing for the “Dictionnaire Permanent Social”, a legal publication of the company “Editions Legislatives”. This job gave her excellent experience in Labor law. She then held various HR management positions within the Orange Group, where she has worked for several business units as well as at the corporate level. She was the HR Director for Orange labs in China, Japan and USA. Marie-Claude also was the Human Resources VP at UGAP, the French central purchasing company employing 1,000 people. Marie-Claude holds a Masters degree in Labor Law from the University of Paris X and a Masters degree in Human Resources and Organizational Management from ESCP (Europe Business School in Paris). Fabien is in charge of Project Management Office, Quality and manages the STB Customers projects team. 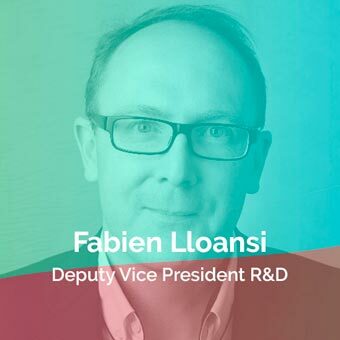 After one year of technical study on microprocessors, Fabien began his career at Sagemcom as project manager on PayTV STB in 1997. He was especially in charge of first terrestrial decoder for European market. He joined Viaccess in 2001 as head of decoder development team. In 2006 he took over Smartcard and Head End development teams in order to develop Viaccess products. In 2010, Fabien was promoted as VP Development and Integration at ViaccessOrca. Fabien graduated engineering degree from the Computer Science and Telecommunications school (IFSIC Rennes), specialized in system architectures (computer engineering and embedded systems). 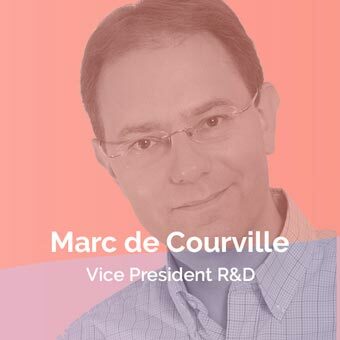 Marc has over 20 years of experience in research and development with expertise in wireless communications, embedded software and innovative consumer electronics products design. He has worked at Archos for 8 years, first as Chief Technology Officer then as director of software engineering. Before joining Archos, Marc spent 12 years at Motorola Labs. He obtained a PhD in Digital Signal Processing from Ecole Nationale Superieure des Telecommunications.